This pdf shows the six key instructional shifts the Common Core Standards requires of teachers. This chart shows the 4 different Depth of Knowledge levels including links to Bloom’s taxonomy, key verbs the may cue level, and evidence of Depth of Knowledge. This document shows a list of questions stems that can be used to identify the skills or questions that fall into different Depth of Knowledge levels. TeachingtotheCoreNY is a project of the New York State Education Department from the Office of Adult Education Programs and Performance. 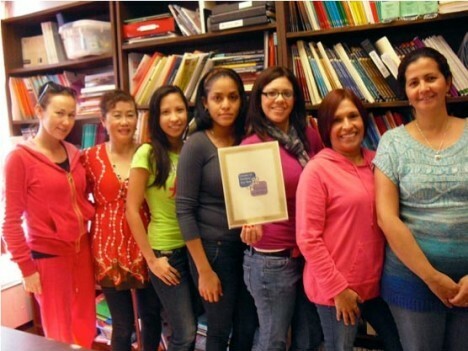 The website is offered free to all New York’s adult educators. Use of any materials or resources offered on the site, including videos, is with permission from NYSED. This is the official website for current materials and resources related to the work of New York’s adult educators in providing high quality instruction as they prepare adult students and out of school youth for the NYS High School Equivalency exam and beyond. These resources are grounded in the Common Core Standards and are designed to support adult education programming in the areas of College & Career Readiness, Math, Reading, Science, Social Studies, Writing, Technology, and English Language Learning. The goal of this project is to provide a platform for adult literacy educators from across New York State to provide leadership in our field and to share their wisdom and expertise. Project staff and content specialists from across New York State choose resources based on their potential utility for NYS adult educators in providing high quality instruction as they prepare students for the High School Equivalency exam, and develop the power of adult education in the Common Core Era. The resources are all related to at least one of the following content areas: College & Career Readiness, Math, Reading, Science, Social Studies, Technology and Writing. Adult literacy teachers try these resources out in their classrooms and then post reviews. The reviews summarize the resource, rate it using an easy to follow criteria, and offer specific recommendations for getting started and using it in the classroom. Then other teachers use the reviews to find materials (and inspiration) to bring into their classrooms and then report back and comment on the reviews to add their voices to the process. CollectEdNY is a collaborative project of the New York State Education Department, The City University of New York Adult Literacy/HSE Program and the Literacy Assistance Center, supported by funding from the New York State Education Department, Office of Adult Career and Continuing Education Services.